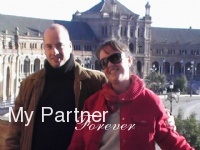 Dear Irina, I decided to write you a letter from the wonderful Spain where I and my husband Kristobal are very happy together and send our photographs to your prestigious introduction service. As you know I wanted to find the man of my dreams. I received many letters from gentlemen of different countries. Then one day I received a letter that was simple but interesting and very special. It arrived in spring 2006. When I was reading the letter I was captured by it very much and, of course, I wrote back very quickly. He was a young man and only some years older than me who was shy and never married. He liked me very much in my photos but he was afraid about the future. You helped me very much that told him about me a little more. The days passed and finally, I received a letter from him again. It was friendly and sincere, and there were photos as well. I felt that he would be more than a friend. It was a day in early summer. When he wrote that he will come soon, I was very excited and it was one problem with the language. He did not know English well, me too. So, I did all my best to learn something necessary to communicate tête-à-tête, and I bought dictionary to decide the language problem when it is necessary. Frankly speaking I should say that I was worrying very much about the language and how everything will work. And I went to Odessa to meet him myself. After some hours of speaking to each other we already felt that we could be a nice match. Kristobal is shy and me is very active, so, I helped him to adapt in Ukraine to get the best impressions about my country and me, of course (joke). And he asked me that he cannot see another girls since he saw my photos in the site and he asked if I wanted to be his wife. Of course, I said “yes” eyes to eyes. About a month after we began writing and calling to each other discussing things about our future, he sent me a special letter filled with love and hope too and forms for making documents. Then he came another time in the middle of October and we were busy with our preparing for our wedding. From day to day we saw that our decision was right. We had a wedding according our Ukrainian traditions. During very little time I already studied Spanish with a private teacher and could translate everything they said at the ceremony to Kristobal and what he should do. It was a little funny but he acted like a real gentleman and none could see that he understood nothing. We had a real nice ceremony but we did not want to do the party at the restaurant. It was my wish first and Kristobal agreed with me. We had a small party at home with my relatives. Irina, thank you very much that you left all your things and came to my wedding ceremony. I consider you as the best friend. I believed that our love is now a reality. I will always remember that day with my white beautiful dress, flowers, Valz of Mendelson and my loved man who became the most important person in my life. So, that is my story about HIM and how he came to my house to see me and hold me in his arms and get to know me that I am the only one and especial person in his life. 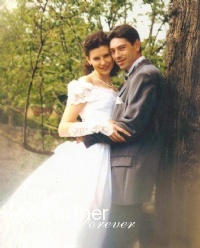 The days passed quickly after our wedding which happened on the 20th of October, 2006, like the wink of an eye. He returned to his country and already in a month and a half I went to him. I believed God sent Kristobal to me. It was the first marriage for us both. Irina, I am so happy and I am so grateful that you brought us together. You are great! His parents, relatives and sisters love me very much. I took his traditions and taught them our’s too. Kristobal showed me his country and we had a great time already as a happy couple. But life is life. I went to school to study Spanish better. I did not imagine my life without working though his relatives think that it is not necessary for me to go to work but Kristobal was not against it. So, after finishing courses Kristobal helped me to find a job at nice hotels on the Reception (I did the same in my country). So, our life goes well. We work both and we do not quarrel about this or that. I send you some photos from Spain. When I am in Kherson I shall call you and visit you. I want to see you again and express my gratitude to you in real. The way of Svetlana and Fernando to each other was not simple and not rapid. 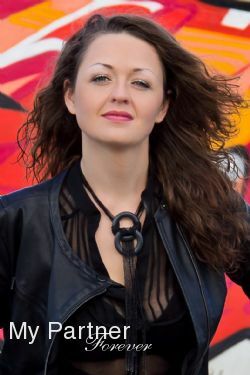 Svetlana was registered with the agency for two years. As many fascinating girls, she had meetings with the men, but not to one of them she was wanted to present her love, tenderness and concern. One day Svetlana brought into the agency her best friend Irina. Fate was ordered so that quite soon Irina was introduced to the young Italian man Giuliano, who lives in France. They felt that they approach to each other and they decided not to pull with the wedding. 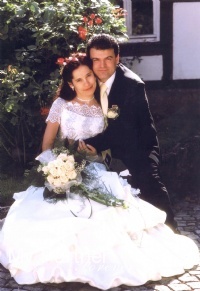 During the day, when in France, in Myuluze city, occurred the wedding of Giuliano and Irina young likable Portugese, who lives in France, turned himself into the agency and asked about the encounter with only one girl - our Svetlana. When we realized, that Fernado lives in Myuluze too, along our skin the ants broke into a run. The meeting of Svetlana and Fernando took place in the evening. Our translator felt as the lightning of feelings flashed between them. This happened. Two halves of one soul found each other! 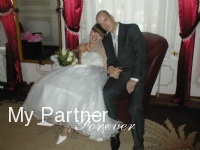 Their wedding took place in the same glorious city Myuluze. Now both our girls and their families are happy. They live in Myuluze in ten minutes of walking from each other. It is much nearer than they lived in their native Belorussian city Grodno. This is the gift from the sky to people, who knows how to be friends and how to love properly. Natalia and Alfred have passed long way to find each other... Alfred already had negative experience of home life in Germany. Natalia has not had time to get married, she waited unique man and to measures of Belarus, was already not young bride of 30 years old. Natalia was the bride who searched first of all for feelings, sympathy and did not wish to be exchanged for acquaintances to men which did not cause in her sympathy at first sight. When Alfred has arrived to the agency he was 35 years old. And to tell you without false, he had at the Belarus brides great success. For him it was very difficult to make the correct choice. However, for that there is an agency to help the client and to avoid a mistake. So happens and this time. It was the end of the history about two loneliness and has begun a history of new happy family of Briegel. Natalia and Alfred are together during 5 years. They are happy. Leon is their son of 3 years old. Natalia adapted in Germany perfectly. They come to Belarus (city Grodno) every year and please us with their happy persons and family relationships. Once it was a meeting where two people found each other. The meeting passed successfully, both Margarita and Robert felt that they were created to be together. They spent a pleasant time together and in some days Robert proposed Margarita his hand and heart and she accepted his proposition with great pleasure……. So, their story…. This is the beginning of love story of Robert and Margarita. 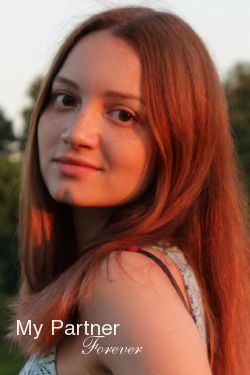 Margarita came to the agency with her wish to find love and make her own family with a good man. Frankly speaking Margarita’s photos were not perfect because she looked sad on them. And Margarita did not want to change them because she considered that if there is her half in this world he will see her soul and heart even on such photos. Margarita wrote to Bob the first. She was interested in him for his kind eyes and that he was tall and for his elegant beard. And she decided to try. Bob read her introduction letter and was interested in her sadness and it was interesting for him why such a pleasant lady is so sad. So, he wrote back to her. And it was a lovely surprise for Rita to receive quite a long reply from a gallant man at the end of January 2004. Even in the beginning of their correspondence they both understood that something can happen between them. Robert felt or expected the future and he wrote to Margarita: Perhaps we could be the two separate halves of the one whole person that I believe we both wish to become. At that time nobody could even assume that these pleasant words sounded as a prophecy and they could come true once. Their correspondence did not last for a long time. It was only several letters between them that gave them a possibility to understand that it is necessary to meet each other as soon as possible and Bob did all the best for realise it and in the second half of May, Robert arrived to Ukraine, and then having done a long way from Kiev up to Odessa where he was waited by the excited Margarita. Fortunately, the meeting passed successfully, both Margarita and Robert felt the emotional calmness to be beside each other. In some days Robert proposed Margarita his hand and heart and asked her to become his wife and she accepted such a romantic proposition with pleasure. Lives of two usual people, who lived so far from each other found each other and joined. And now the world will never be as sad and heavy as earlier for them because they both fell in love to each other and Margarita has a loved Bob, and Robert has the loving Margarita. They got married in Ukraine, in Kherson right at the end of August. They had a nice wedding and here their search ended - a new, light, full of impressions and new experiences, probably a little bit vain, but such a long-awaited and happy family life in San Diego, California began! 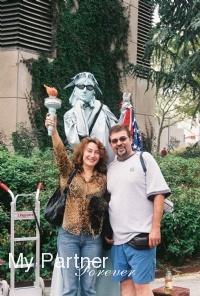 Bob and Margarita came to us and they expressed their words of gratitude to the agency which helped Robert and Rita to find each other and become one of the happiest couples in the world. 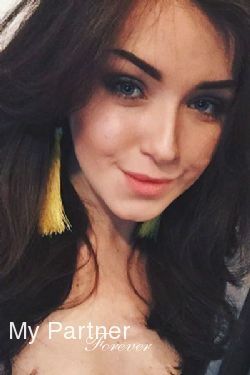 I would like to recommend the Lena`s marriage agency to anyone that visits the Ukraine and travels to the city of Kharkov. They were very kind and helpful during my recent trip to the Ukraine .Their staff helped me find an apartment and came and picked me up at the hotel that I was staying in and took me to it. They are all very Professional and accommodating and if you are looking for a special someone for a relationship, I highly recommend their services. I also would like to extend a special thank you to each of them Elena and Svetlana not only for my stay in Kharkov, but for all of their help making suggestions of woman for me to meet, finding me a translator and especially for introducing me to a very Sweet Beautiful woman who I fell in Love with. Thank you all again for being my friends….